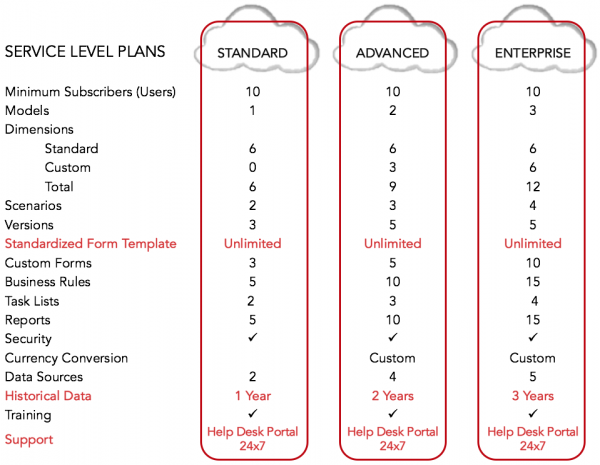 Planning Xtream is our unique service offering for Oracle Planning and Budgeting Cloud Service (PBCS). Planning Xtream, powered by Oracle Planning and Budgeting Cloud Service (PBCS), goes beyond the ease and flexibility already offered by PBCS. Using our years of Enterprise Performance Management (EPM) experience and proven implementation methodology, MindStream has developed this service to rapidly implement and consistently maintain your Oracle Planning and Budgeting Cloud Service applications. Our solution is designed to rapidly implement PBCS - in weeks, not months! - utilizing accelerator tools and proprietary templates that provide a defined scope and predictable implementation timeline. We coupled this rapid deployment model with our award winning, unlimited 24/7 support offering , MindStream AppCare, to create Planning Xtream. For one low monthly fee, you will receive the benefits of world-class Hyperion Planning with the reliability of our world-class Managed Services team. Approach:Are you ready to talk to us about how Oracle Planning and Budgeting Cloud Service (PBCS) can transform your organization? Are you ready to move from on-premise to a cloud solution? Do you want to learn more about Planning Xtream? Take the first steps: fill out the form below to start the discussion about how Planning and Budgeting Cloud Service can fit your organization's needs. Learn more about all our cloud solutions here. If you'd like to get more information about Planning Xtream, fill out the form below and we'll get back to you shortly. MindStream represents a true partner to me and my organization. They managed the successful design, build and roll-out of my Planning Application. They've also been there for us to help with application "tweaks" as our business changes required. Their commitment to excellence is only surpassed by their ability to deliver it"
Tagetik is a trusted provider of Performance Management and Business Intelligence software for budgeting, forecasting, financial consolidation, close, reporting, disclosure and more. Tagetik is one of the fastest growing global software companies in the Performance Management software industry.